Aldebaran Farm - What's in the Bag? 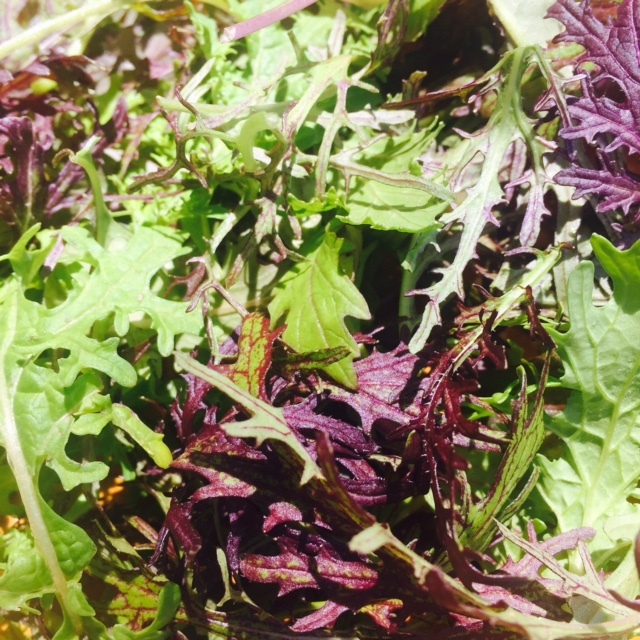 Come to Aldebaran Farm this week for all of your salad greens! 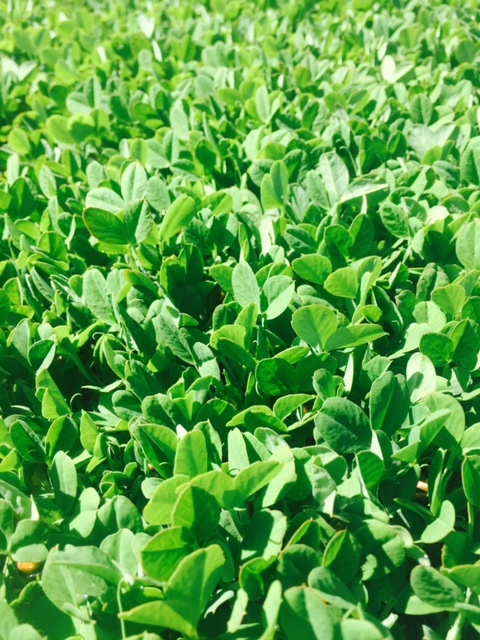 Our mouths are watering every time we look at this week's crop of pea shoots. Pea shoots are basically tiny pea plants: they have all of the sweet flavor of a pea, and they are commonly used anywhere you would use a leafy green, such as in a salad, wrap, or sandwich. The same goes for microgreens, which we will also have this week. These tiny vegetables offer the flavor of their full-grown counterparts, and have 4-6 times the nutrient content. Our microgreens include radish, broccoli, red cabbage, red and green kale, mizuna, chard, mustard greens, and pac choi. As a special treat, this week we will also have cilantro microgreens! In addition to "micro" greens, we will have an assortment of "baby" greens, including arugula, baby red Russian kale, and mesclun mix. We are extremely happy with the quality of our mesclun mix: you will be hard-pressed to find salad greens with such a beautiful variety of delicate leaves. Don't miss out - make sure you pick up a bag and see what we're talking about! 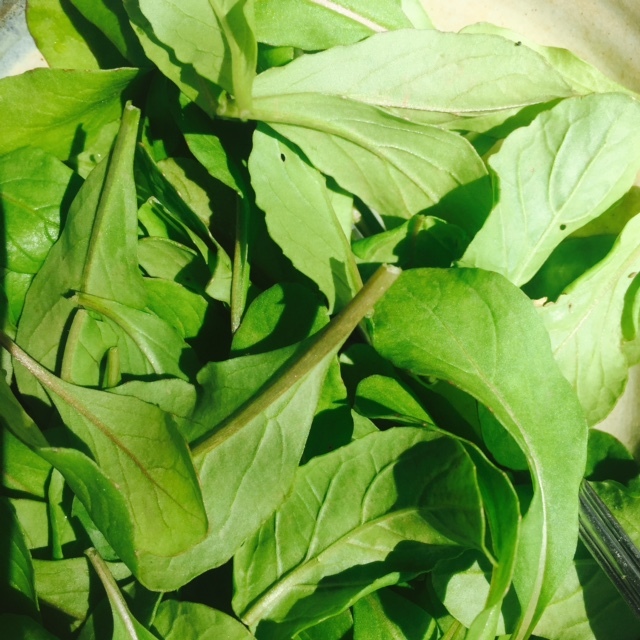 Our arugula is small and delicate, with just the right amount of spice. We will be harvesting the first batch of spinach this week, which we consider a true delicacy and well worth the labor-intensive harvest. 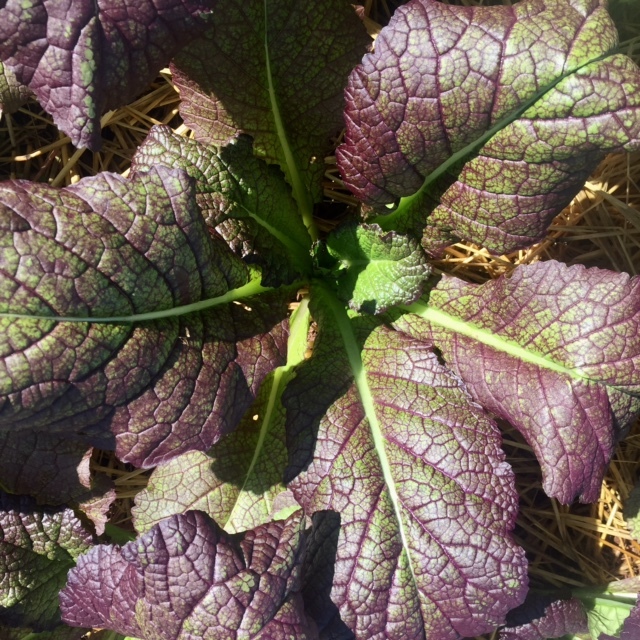 A small quantity of mustard greens will be available for those of you who enjoy cooking with them. Lastly, we will have bagged kale. 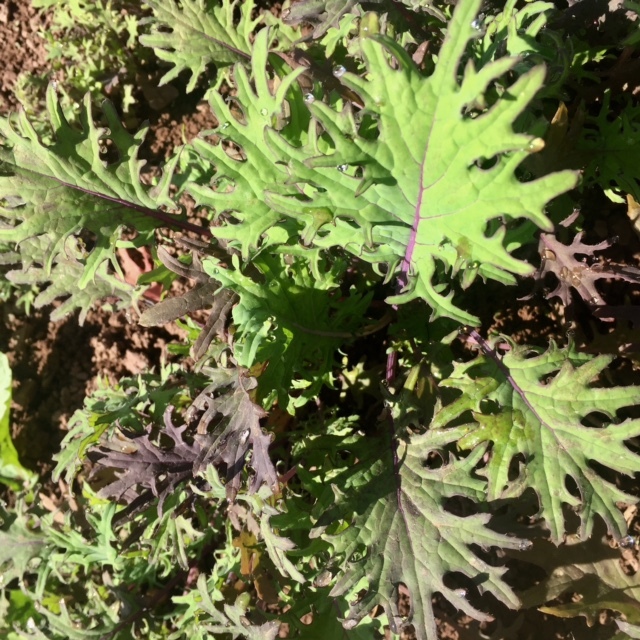 Our bagged kale consists of the small, first tender leaves of our kale plants, and is a special item in the spring and fall. We will be bringing transplants as well, so think about what you need in your garden this week!